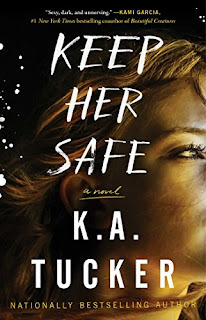 KA Tucker never fails to astound me and Keep Her Safe was a fantastic reminder of just how well this author can write Romantic Suspense. 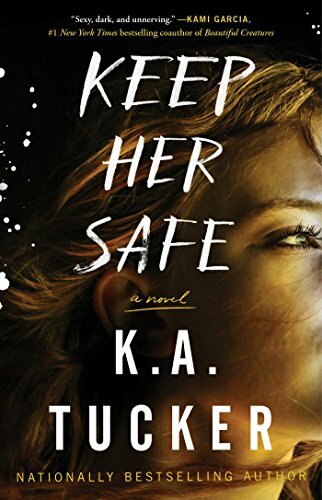 While in Keep Her Safe the suspense was the predominant story line the little bit of romance that is interspersed is a perfect balance to the overall story. This book had me on the edge of my seat from the very beginning, no filler chapters whatsoever, just perfect story building pulling the reader in from the very start. Crime Thrillers are my go to books when I need a break from romance and this was the perfect combination of both. As ever, the writing was flawless, captivating and utterly enthralling as this book starts with the death of the chief of police and a tangled web of lies, deceit, guilt and corruption is slowly unravelled by the chief of police’s son, Noah. Noah was a fantastic character and his morals and scruples were firmly in place no matter what he unearthed. Wanting to get to the bottom of what made his mum do what she did, nothing could have prepared him for what he would find. Noah’s loyalties are tested to the limit and when his discoveries bring him into the path of a childhood friend old memories are brought to the surface. Gracie was an amazing character, a woman that had carried the weight of the world on her shoulders, a little girl that was forced to grow up way before her time and a woman that was now incredibly jaded. Her outlook on life was fantastic, she was incredibly strong and stubborn but that only made me love her all the more. With some jaw dropping twists and turns that I never saw coming I was engrossed in this book from first to last word. KA Tucker was the master at suspense and red-herrings in this book and while some I saw coming, there were a lot I didn’t. What a fantastic read.